The part-time MBA program in Belmont University’s Massey College of Business was lauded recently when U.S. News and World Report released its 2018 rankings of Best Graduate Schools, a tool to help prospective graduate students better understand the graduate school landscape and identify potential programs. The Massey Part-Time MBA ranked No. 151, appearing among 360 surveyed part-time programs. According to U.S. News, “Part-time business programs play a vital role for working people who can’t go to school full time because of family or financial reasons.” U.S. News’ part-time MBA ranking is based on average peer assessment score, the average GMAT score of students entering in fall 2016, average undergraduate GPA, work experience and the percentage of the school’s enrollment that is part time. 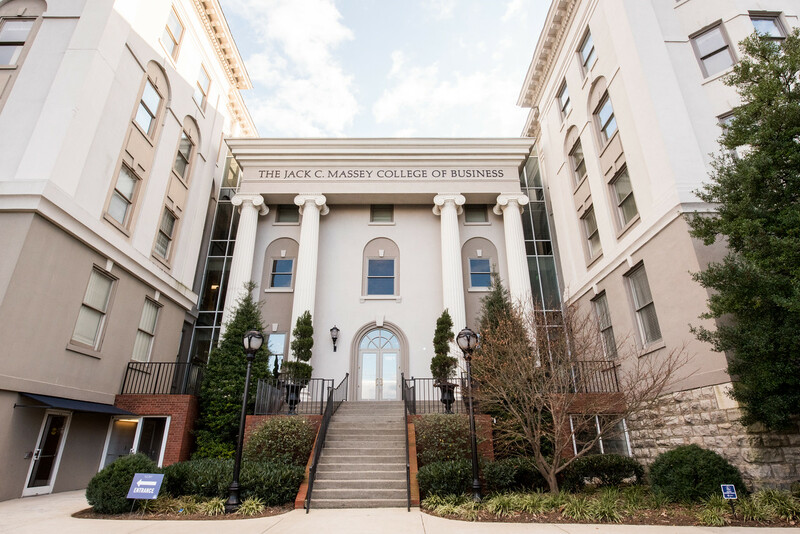 The Jack C. Massey Graduate School of Business began offering its part-time MBA program in 1986, and has continued to add high-quality graduate business programming as market needs have evolved through the years. The School added an innovative part-time healthcare MBA program in 2012 to complement Nashville’s growing reputation as the healthcare capital of the U.S. and a joint PharmD/MBA program in 2016. In its most recent part-time MBA rankings, Bloomberg BusinessWeek ranked the Massey part-time MBA program No. 28 in the U.S., between the University of Maryland and the University of Florida.